Home > Announcements > Who has the Most Gulp on the 7-Elections? 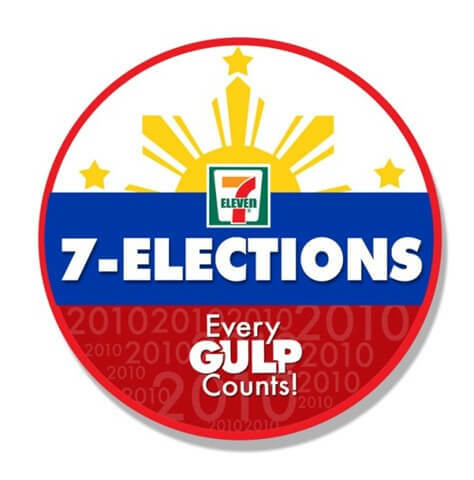 Who has the Most Gulp on the 7-Elections? This project was initialized first by the US on their 2000 elections and has run for 3 consecutive national elections.Â On that, 7-Eleven partnered with two of the most prominent news networks in the U.S. â€“ CNN and USA Today.Â The poll was very informal but polling was able to provide the public with daily and weekly poll results. In the U.S., while the poll may be informal, evidence hit from the U.S. precedent revealed surprisingly accurate results.Â It revealed a one-to-two percent discrepancy between actual numbers from the U.S. voters versus the 7-Election participants. 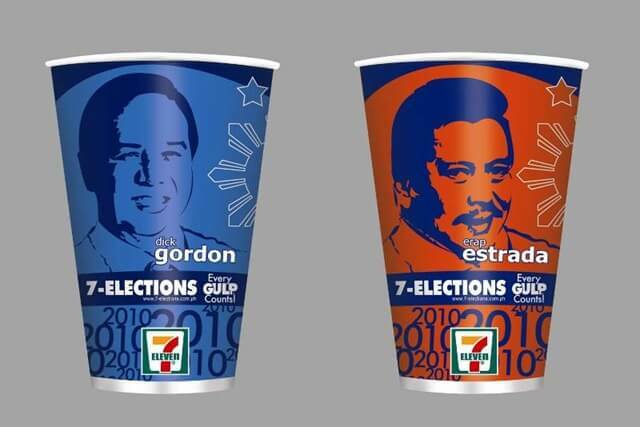 Each cups with assigned presidentiables has a specific barcode and 7-Eleven will automatically tally the polls. if you get the Manny Villar cup, your drink is free.